We're reporting from the car's public debut at the 2017 Frankfurt motor show, where a sportier R-Line specification was launched to broaden the little B-SUV's appeal. 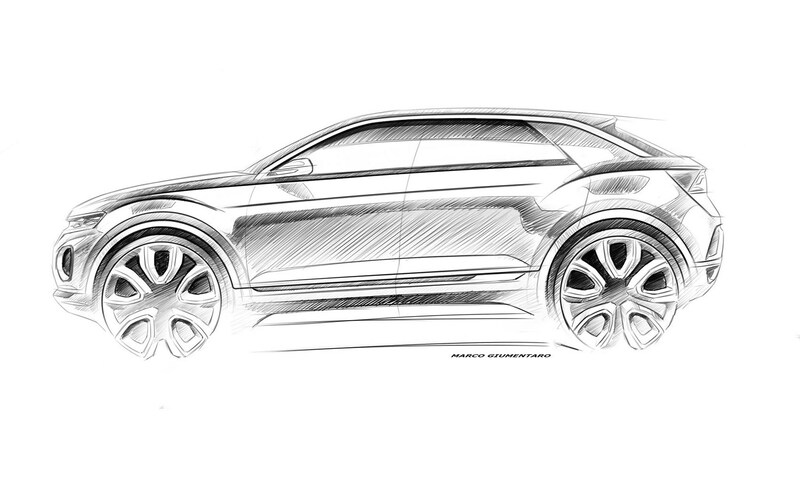 A break from the norm here but with a nod to Wolfsburg heritage - the T comes from VW’s larger SUVs, Tiguan and Touareg. 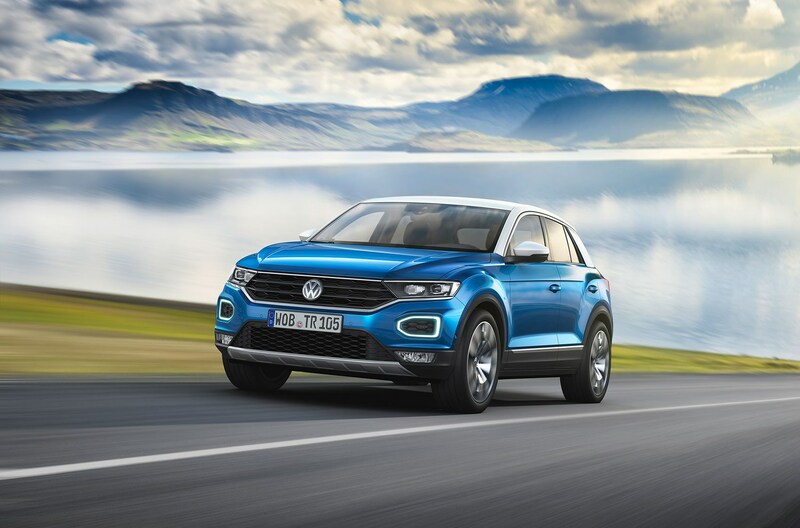 At the risk of sounding like a stuck record – very important indeed, especially to Volkswagen. 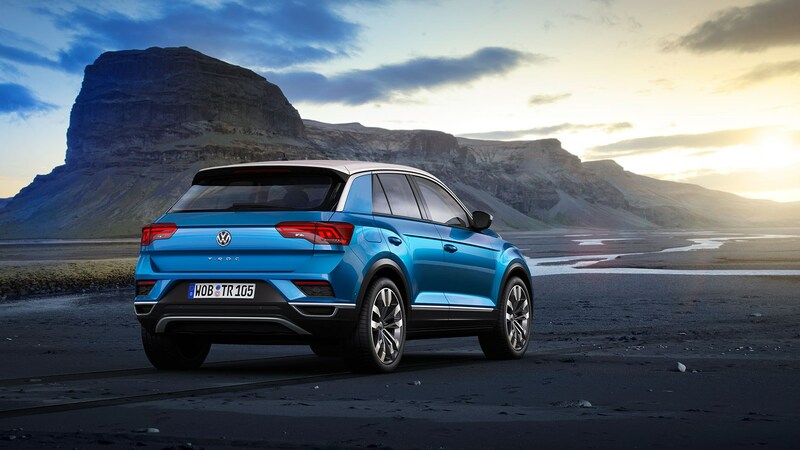 VW reckons the T-Roc will help sales grow from 6.4 million globally to 10.6 million in just 10 years. What’s different about this one then? 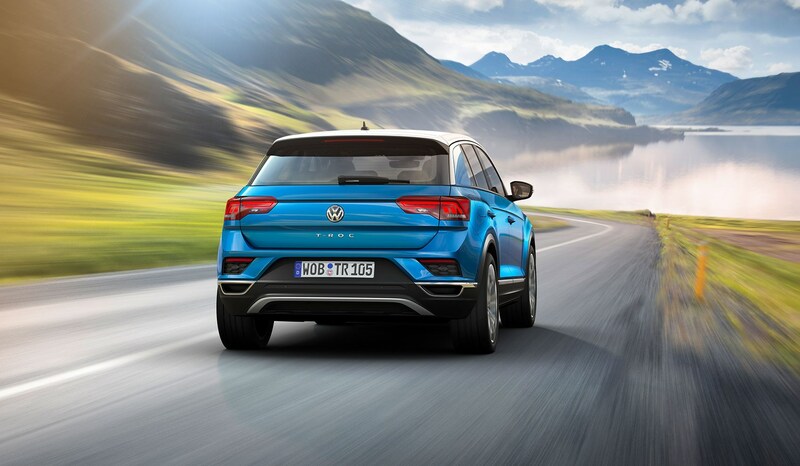 Well for one, it’s the first VW SUV you can have with a two-tone paint finish thanks to its contrasting roof section, there to emphasise what VW describes as a coupe-style roofline. 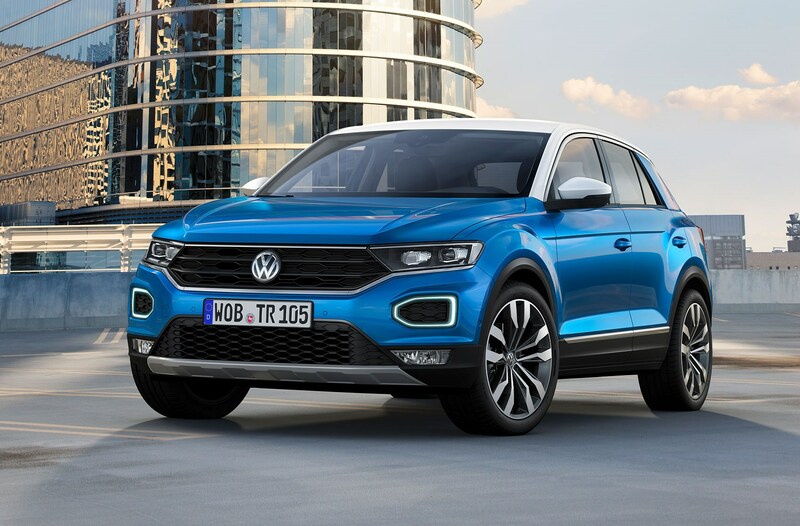 The VW T-Roc dimensions are smaller than the Tiguan's overall (252mm shorter, in fact) but it shares the larger car’s design DNA. 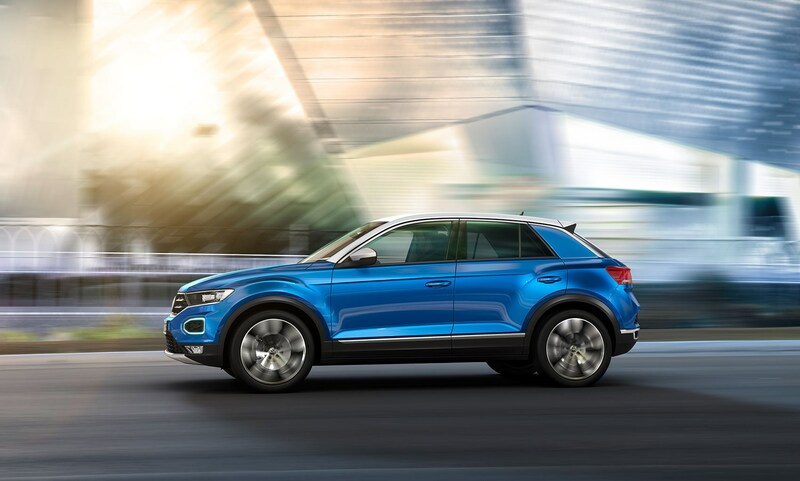 MQB underpinnings mean the T-Roc is spaciously packaged – it has a large (for the sector) 445-litre boot, which can be expanded to 1290 litres by folding down the 60/40 split rear seats. 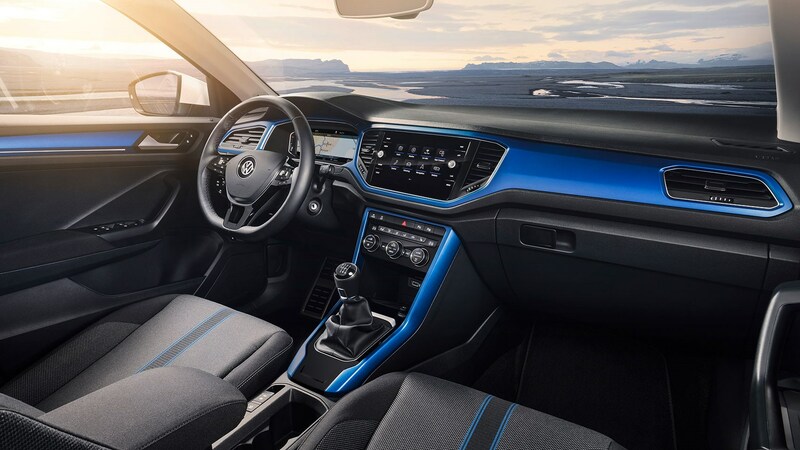 Cabin storage is strong with a large storage box under the climate control panel, hiding two USB charging ports and optional inductive wireless charging. 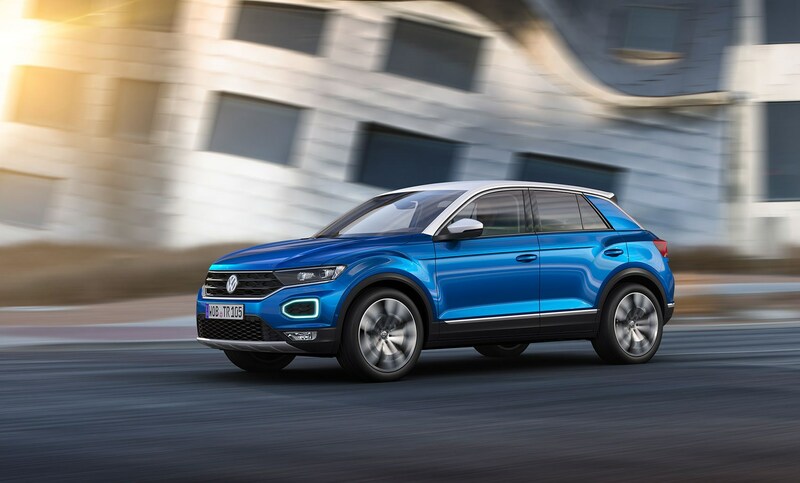 Unsurprisingly the T-Roc comes packed with more gadgets than a Betterware catalogue and, given the family-friendly bias, there’s a hefty focus on safety. As standard you get Front Assist with city emergency braking and lane assist, plus you can also choose adaptive cruise control, road sign display, blindspot monitor, park assist and a reversing camera to name but a few. 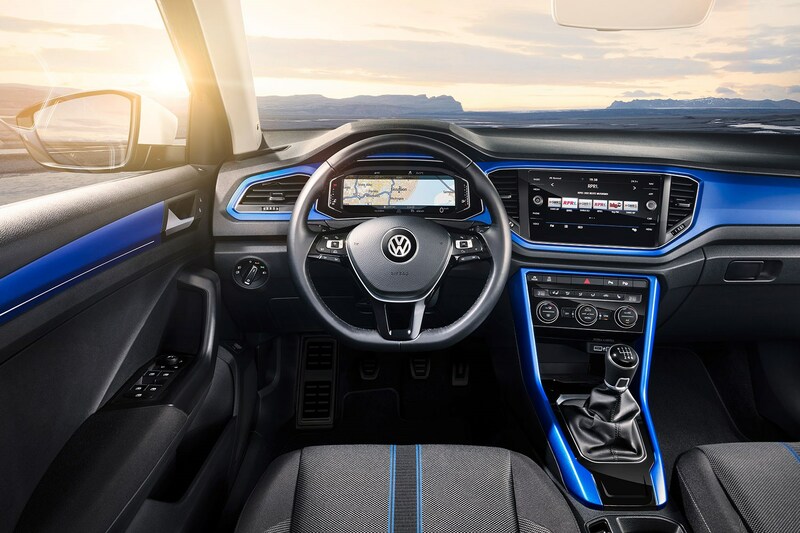 Other tech highlights include the debut of VW’s next-gen Active InfoDisplay (chunky 11.7-inch digital dials). 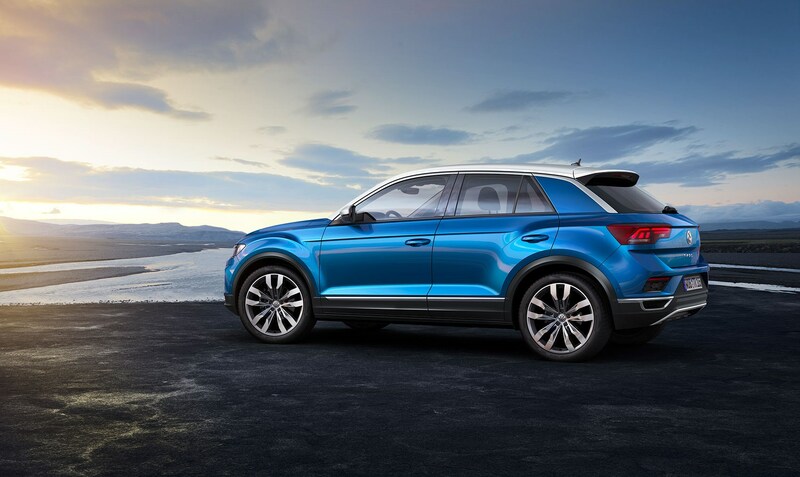 Top versions get jazzy LED headlights, with daytime-running lights and indicators formed by a single round element. 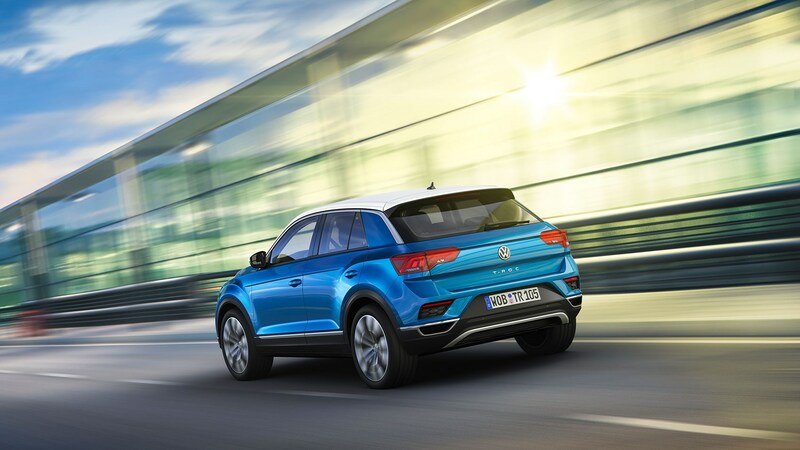 The central infotainment screen comes in a range of sizes up to 8 inches, plus you can add the App Connect smartphone interface, and a whole host of concierge services under the Security and Safety umbrella. Music fans will be sated by the optional 300-watt Beats stereo, and there’s a huge panoramic glass sunroof too, to bathe Oscar and Gertrude in daylight on their way to the local nursery. 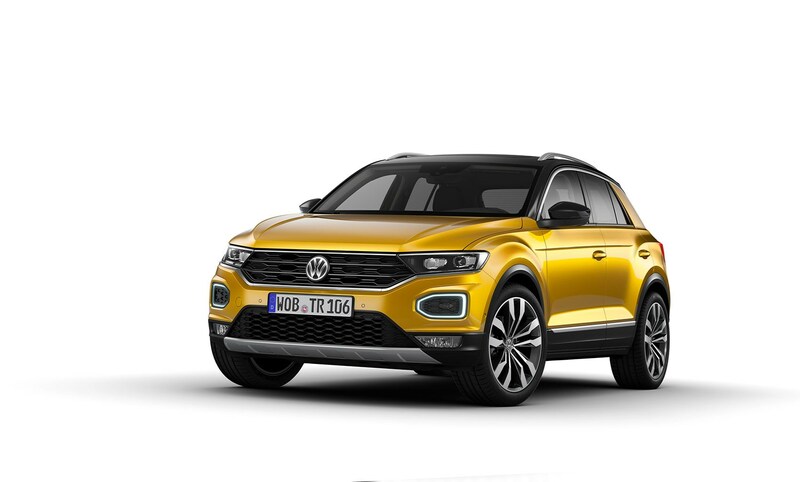 What are the VW T-Roc trim levels called? 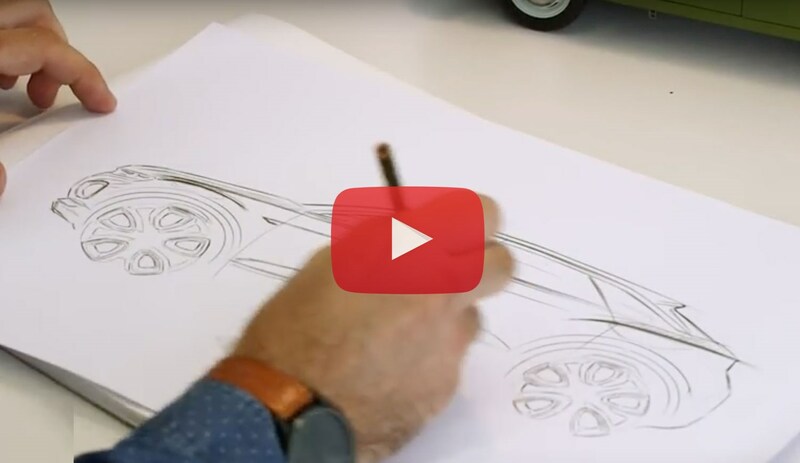 There’s the standard car and then two higher trims with equivalent features (the same structure as the Arteon, coincidentally) called Style and Sport. Style gets you white ambient lighting, a contrasting roof, customisable interior trim panels, 17-inch wheels and a silver underbody guard. 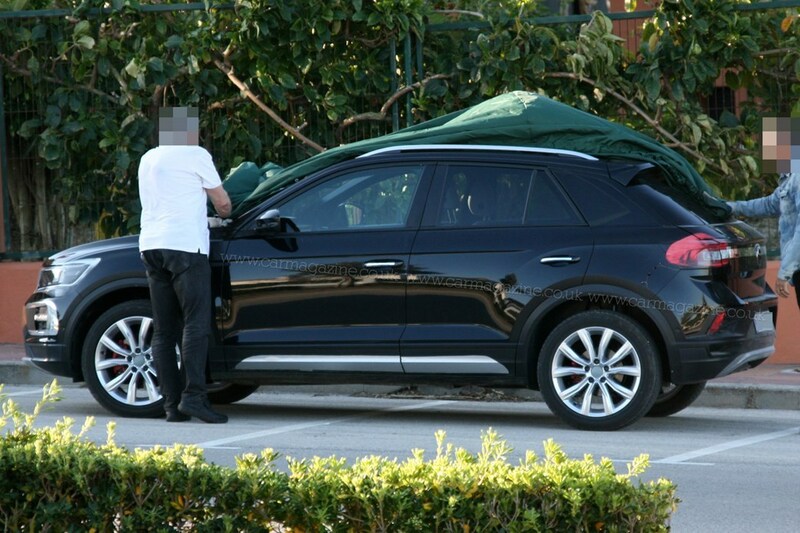 Sport has a performance look, obviously, and therefore benefits from tinted rear windows and lights, aluminium pedals, red ambient lighting, red brake calipers, 17-inch wheels, black rooflining and sports seats. So far, so Germanic. 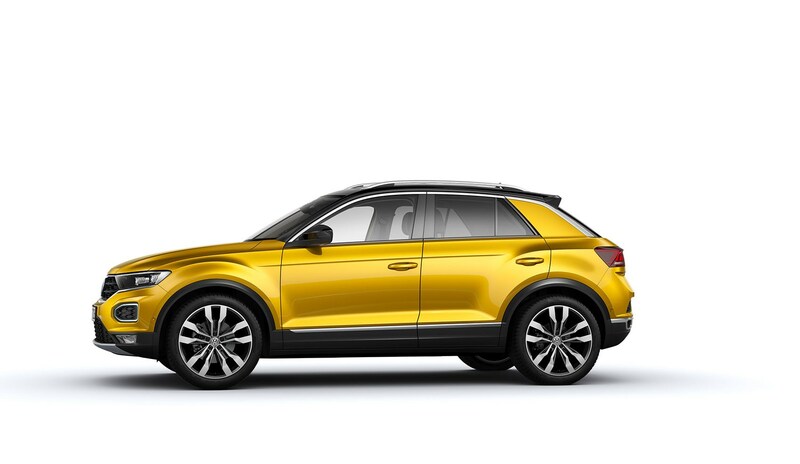 There’s an R-Line package, too, with even sportier-looking bumpers and side sills. Can I have an engine to match those sporty pretentions? Err, not especially. There are six turbocharged engines to choose from: petrol power comes from 1.0-, 1.5- and 2.0-litre units, whereas the diesels are 1.6- and 2.0-litre. UK engines aren’t confirmed yet – we’ll get some of those six options, but which ones exactly are still TBC. The 114bhp versions are front-wheel drive and manual only, while the 187bhp units have a seven-speed DSG and 4MOTION as standard. 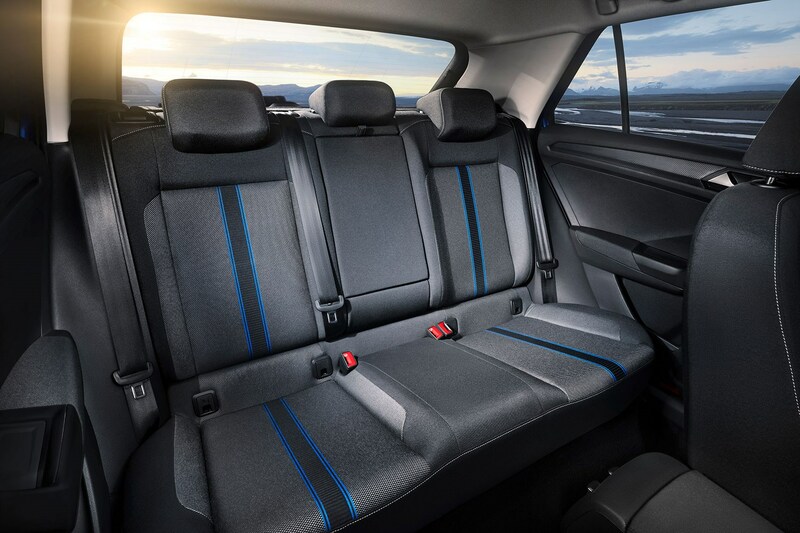 Pick a middling 149bhp motor and you can have two- or all-wheel drive, plus a manual or automatic gearbox. The choice is yours. 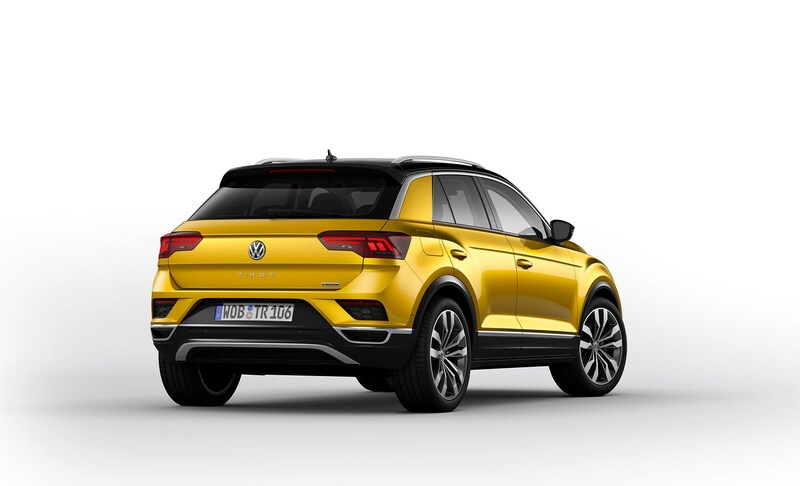 VW says it’ll ride like a Golf (it does share much of the same platform) plus there’s the option of adaptive chassis control for those moments when you feel like getting schporty. 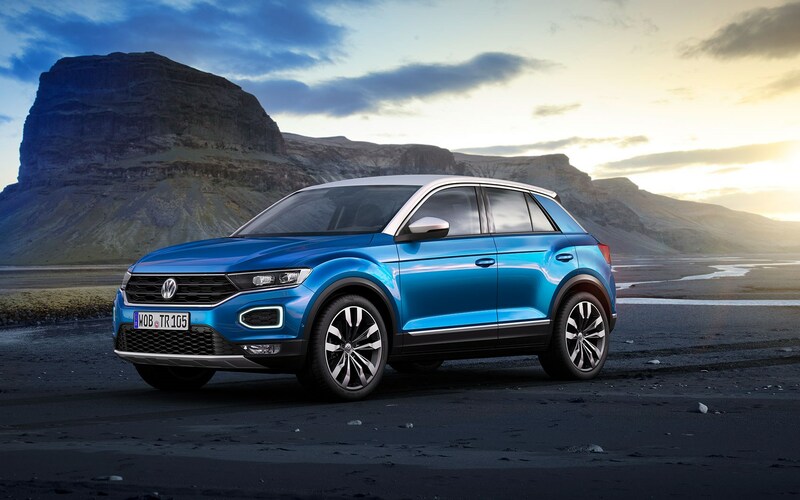 Will the new VW T-Roc SUV be any good? It’s hard to say, but the combination of Golf and Tiguan oily bits and crossover vibe is a promising mix for many buyers. 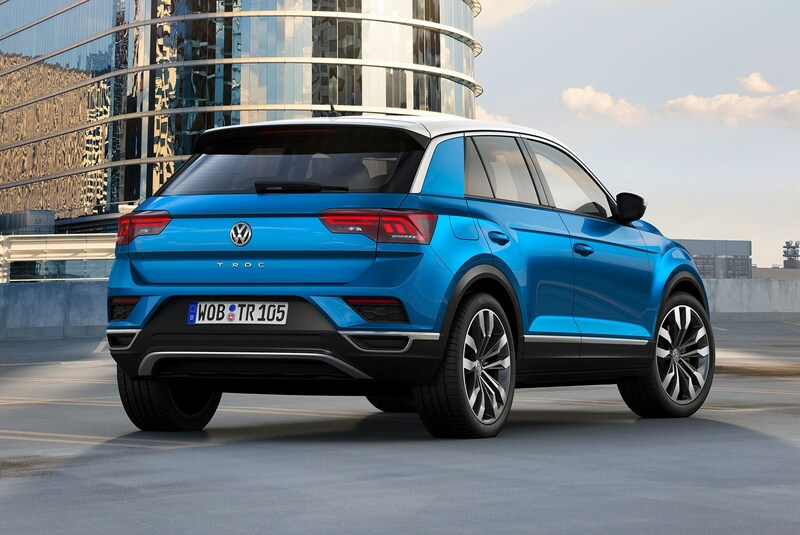 However conflicted you feel about the explosion of SUV popularity, it’s clear that Volkswagen sales are only going in one direction with this latest - and belated - addition to its 4x4 clan. 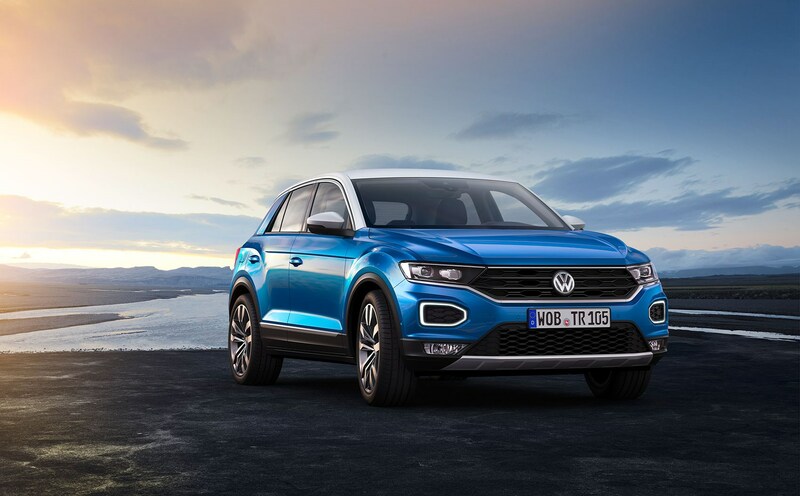 The Volkswagen T-Roc launches for Europe in November 2017, with some early pre-sales in September. Estimated starting price in the UK is £19k.